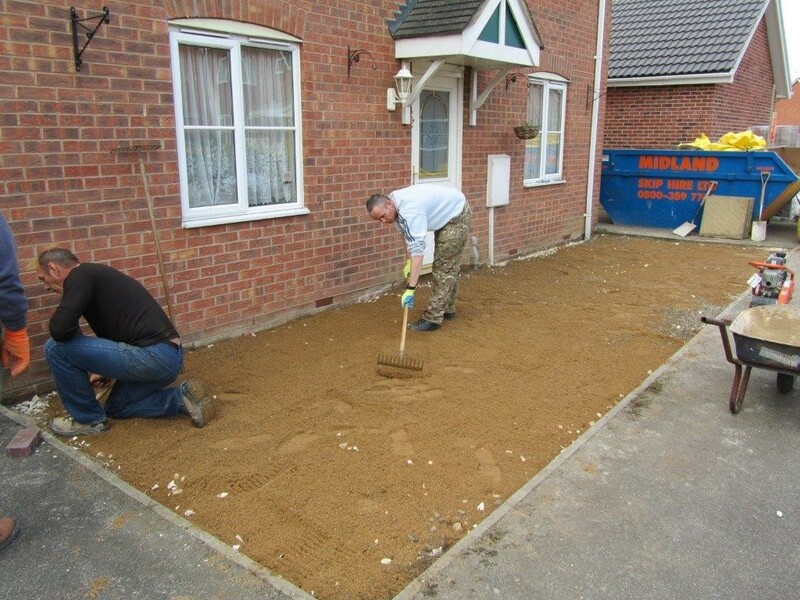 Much emphasis is made on the ground excavation and preparation. 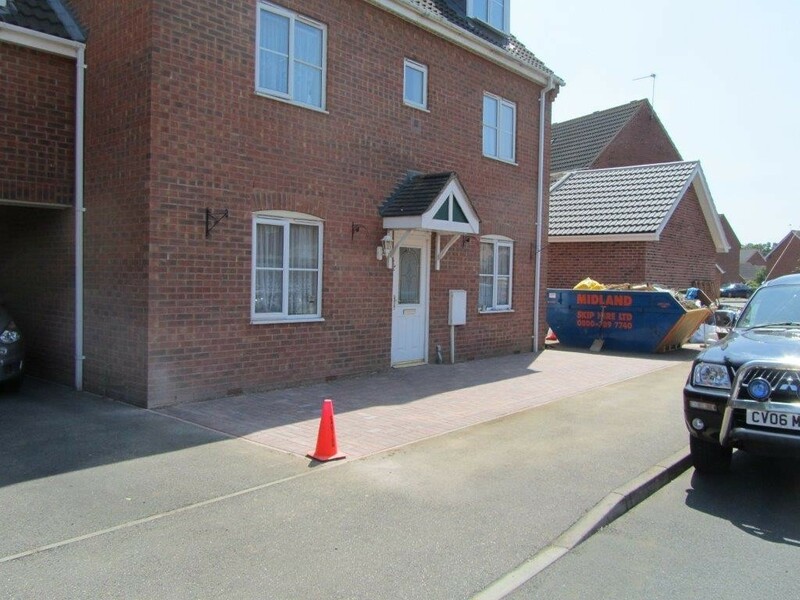 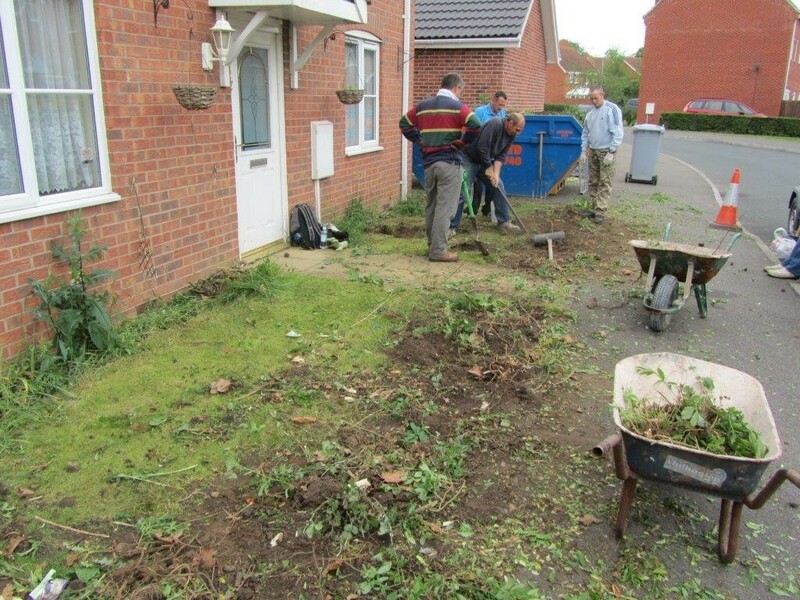 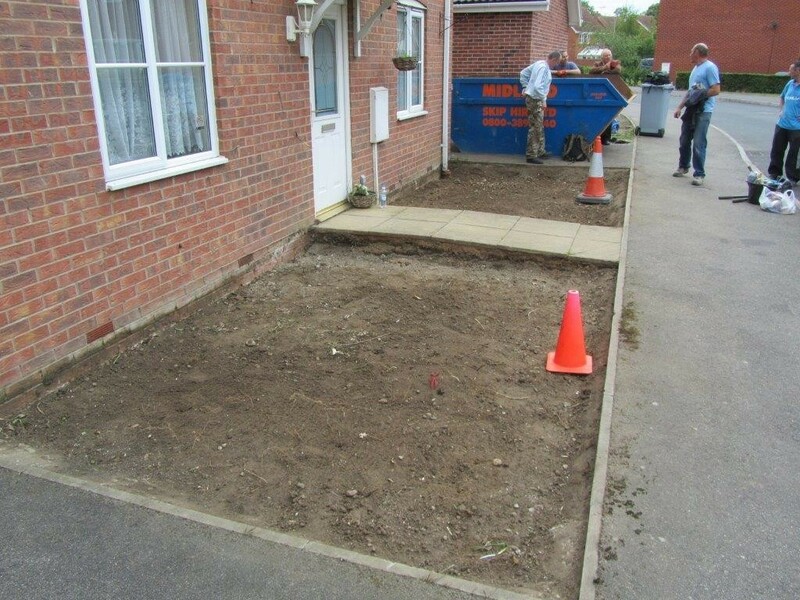 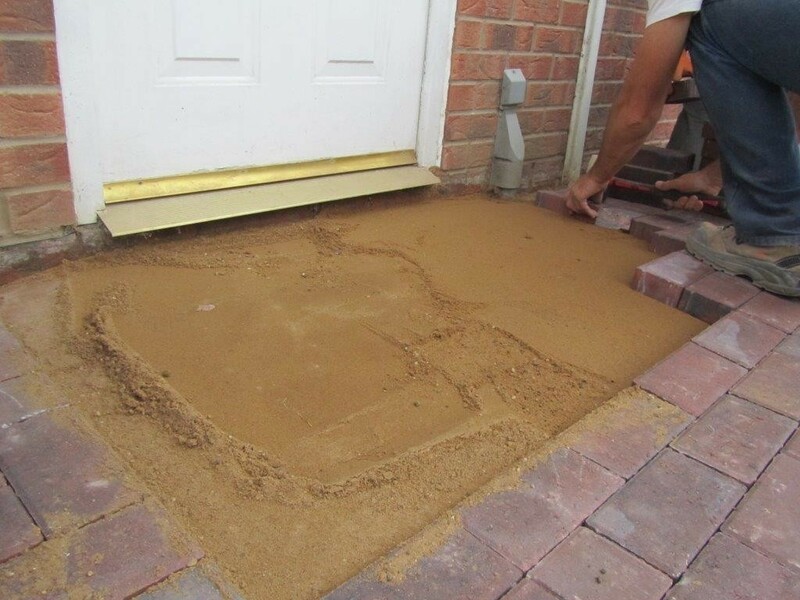 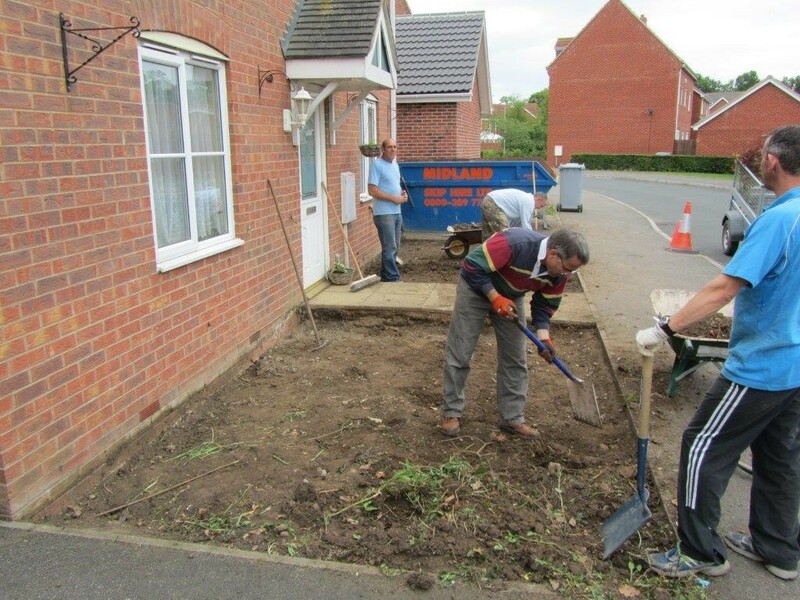 You will dig out the ground to a suitable depth in order to lay down sub base materials that will prevent the finished paving from sinking and breaking up. 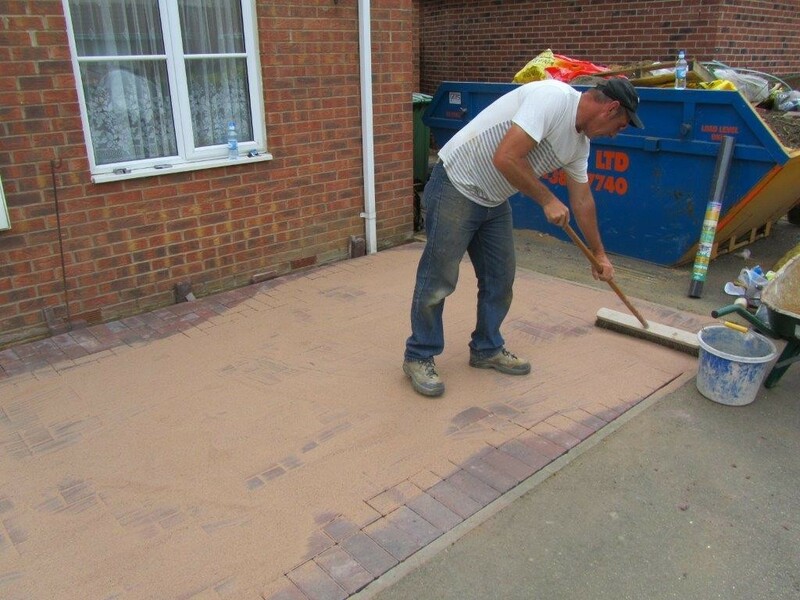 This is physically demanding work but essential to produce the right outcome. 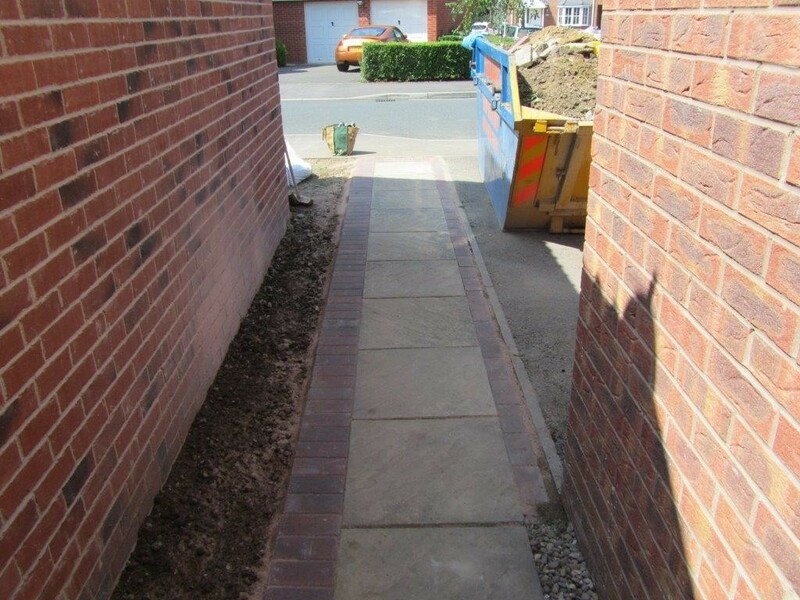 If your not afraid of honest graft, you'll revel in this! 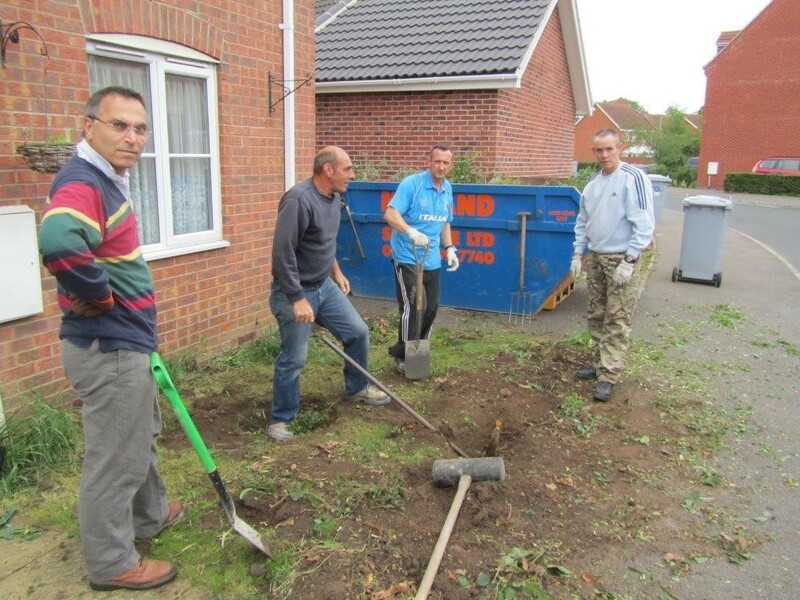 Team work is definitely the key to make light work of this phase. 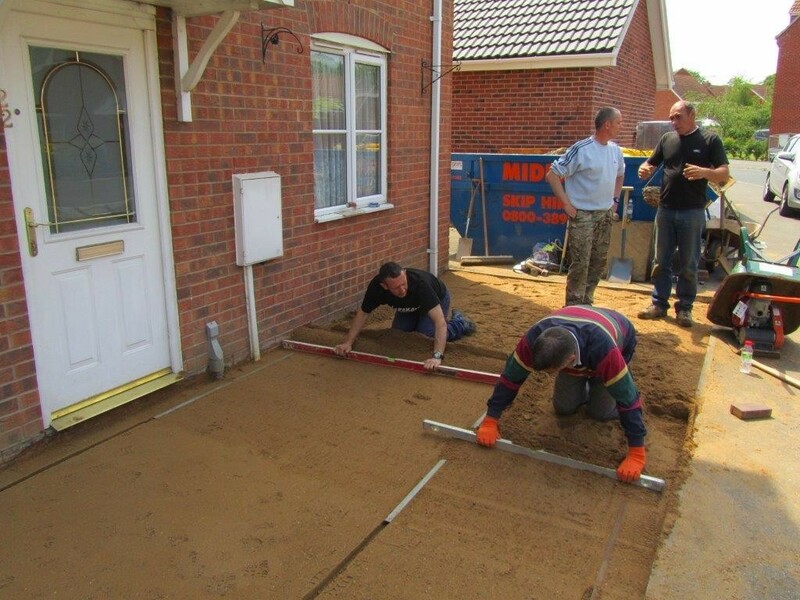 This stage can take upto 2 days so yes you may feel like you are paying us, for you to be a labourer. 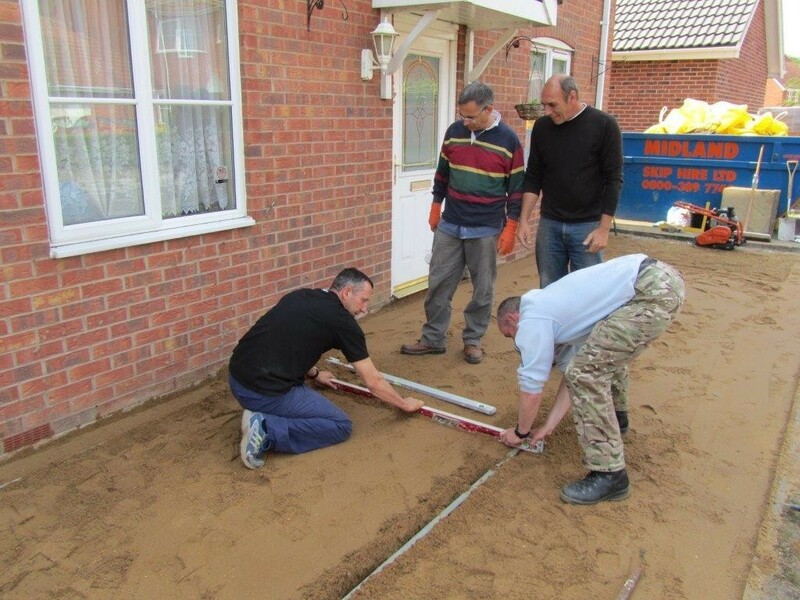 Setting the correct levels in order to allow for adequate fall of rain water is also essential. 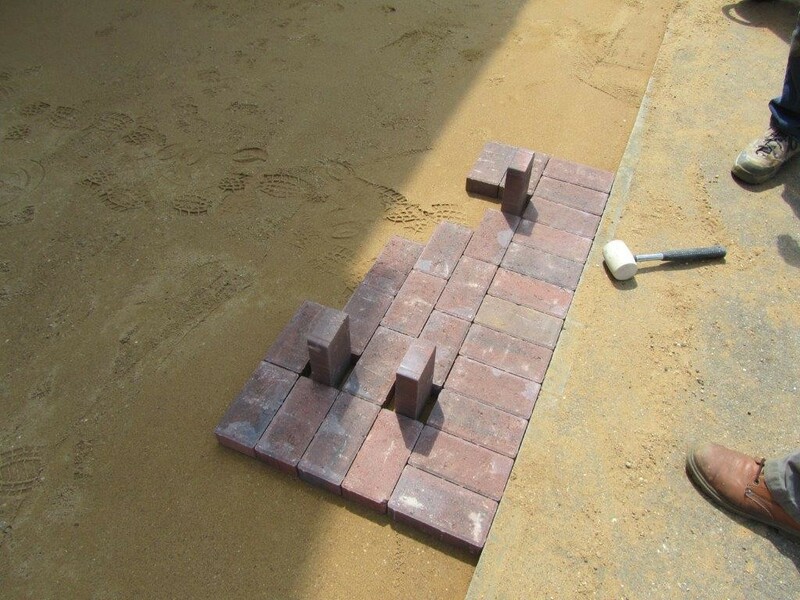 You'll be shown different methods to achieve this when laying Block or Slabs respectively. 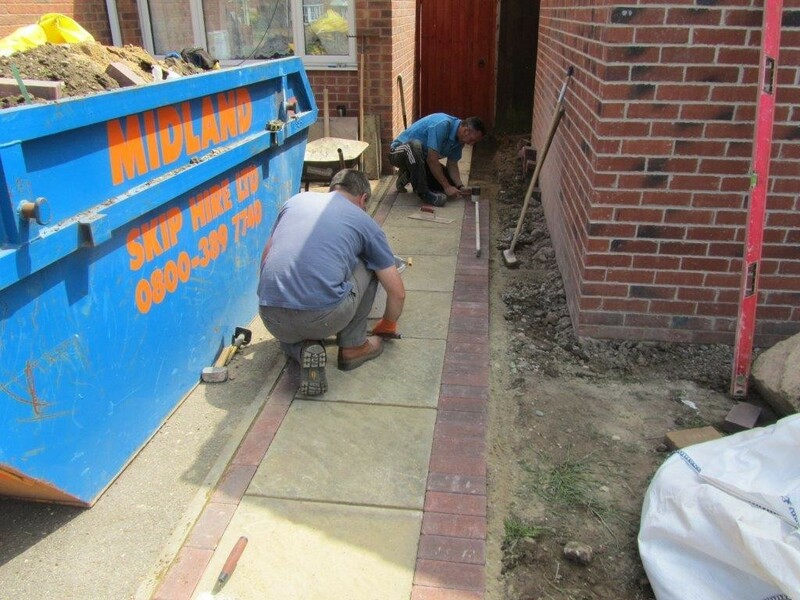 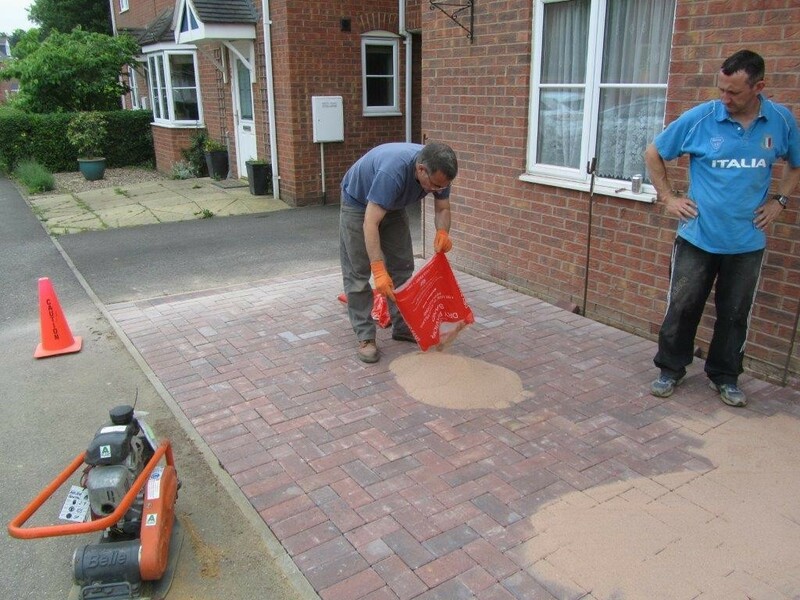 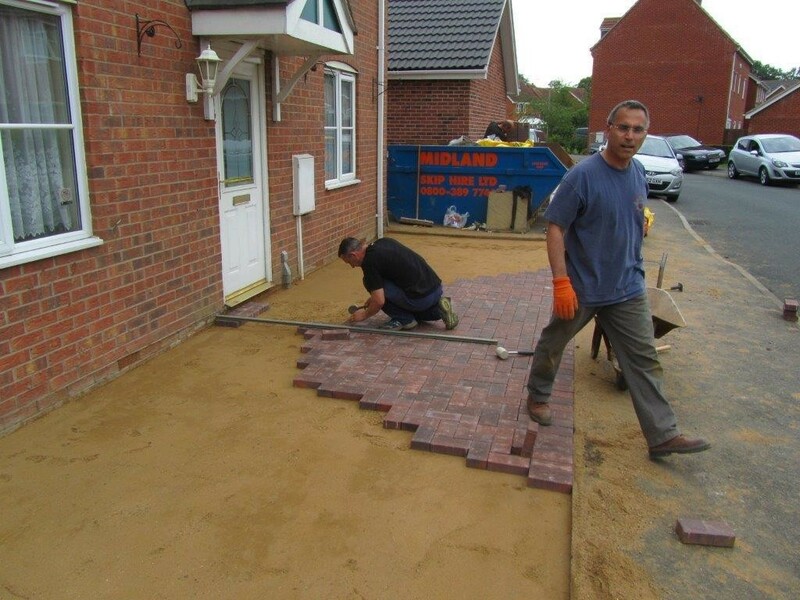 Once the area to be paved is correctly prepared you will then lay Block Paving in different laying designs with decorative edging. 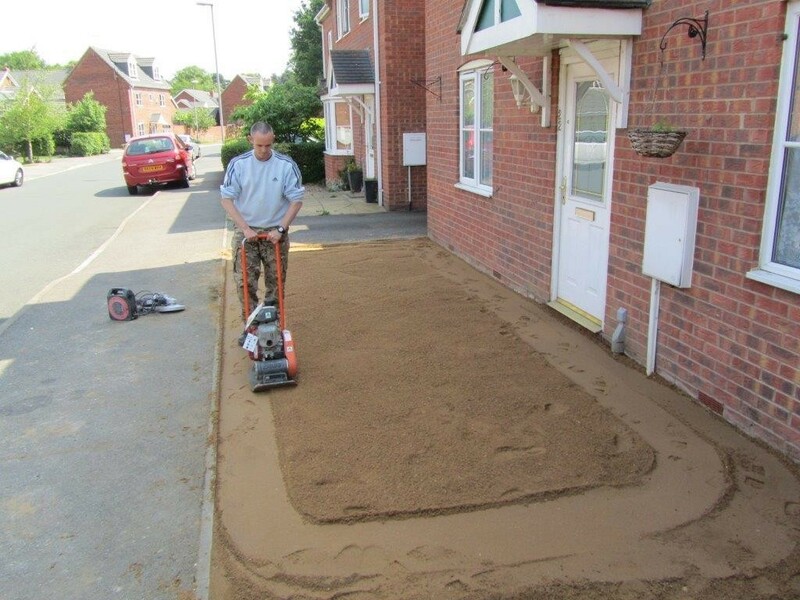 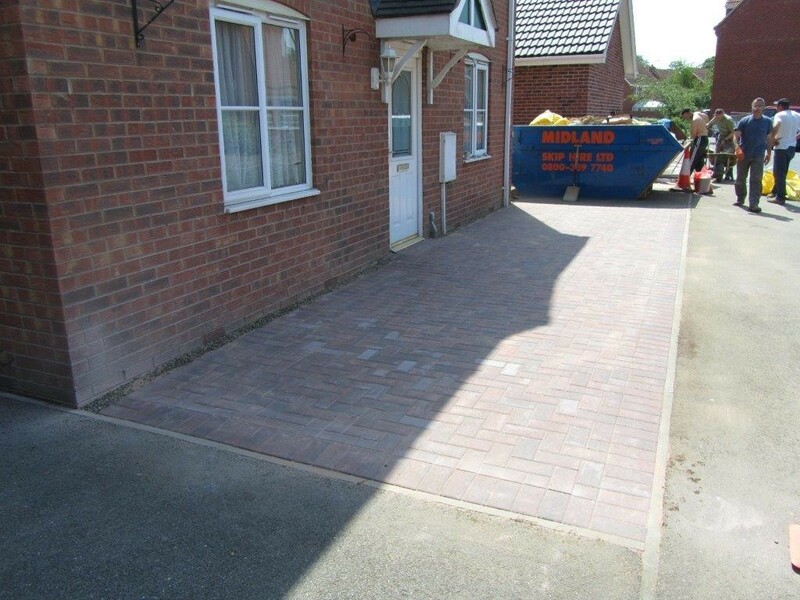 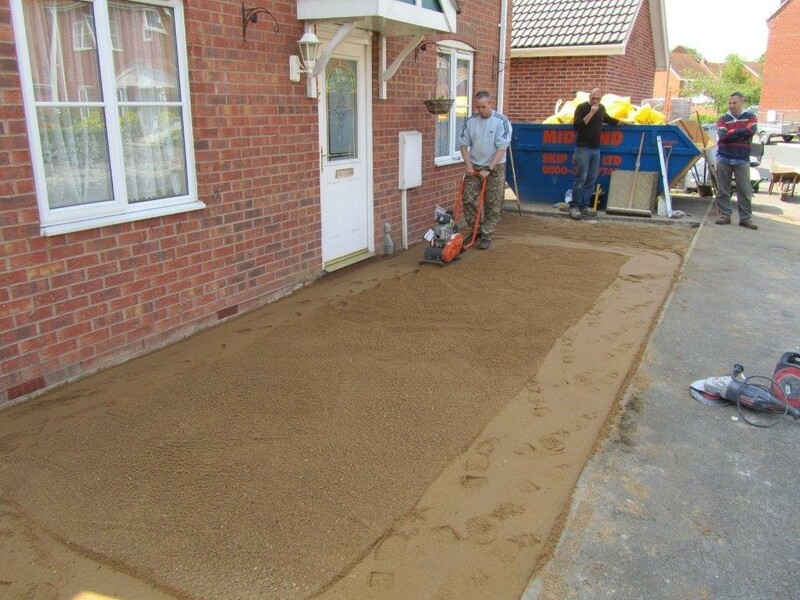 Where necessary, drainage will be laid and jointing sand will be applied to complete the process. 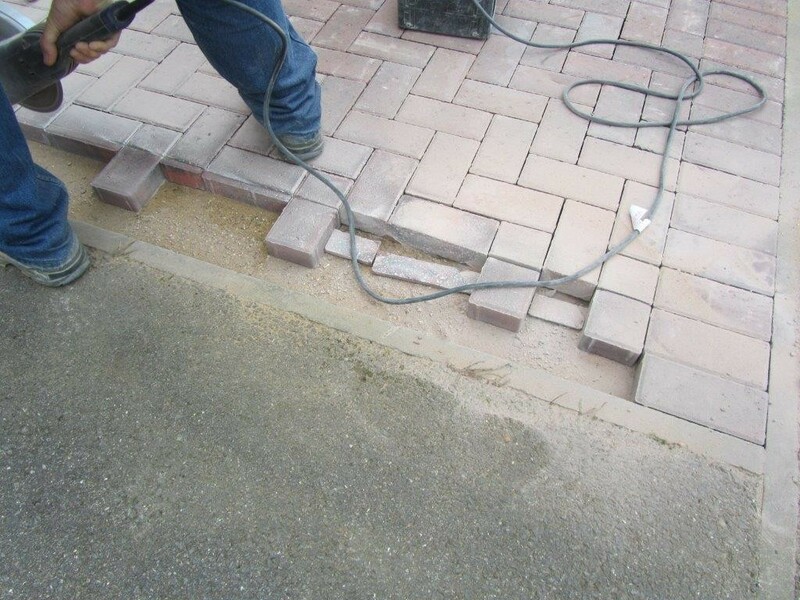 You will then go onto lay Paving Slabs, including cutting and practical knowledge of the intracate designs. 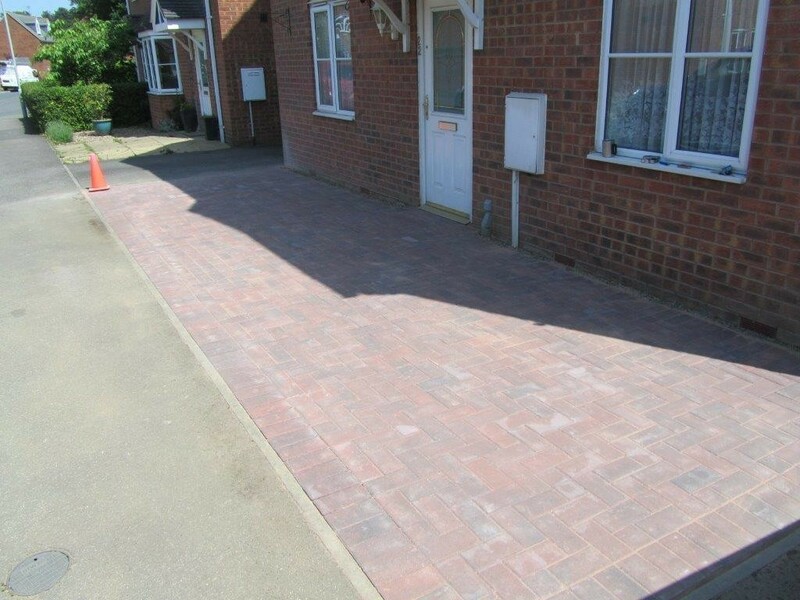 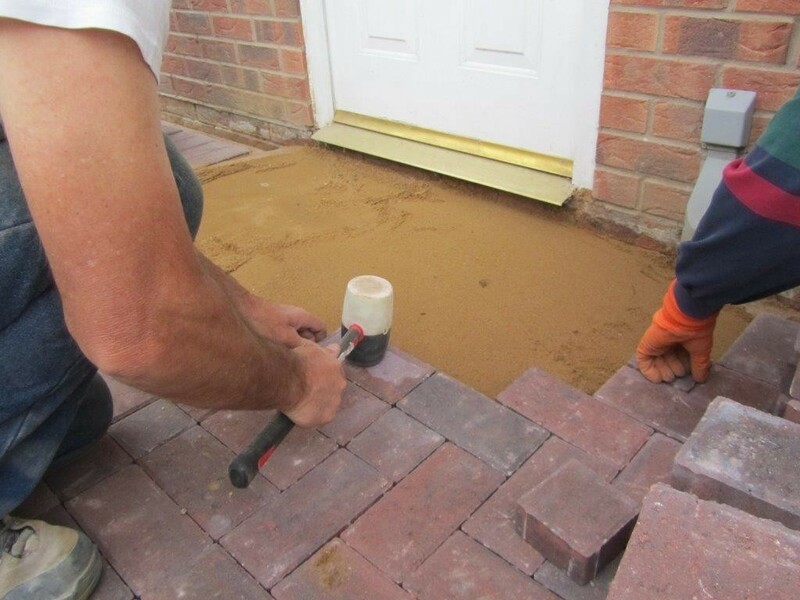 You will be taught differing methods in order to point and grout the paving to ensure it is water tight and aesthetically pleasing, and no doubt pick up some ideas for your own patio area or drive-way. 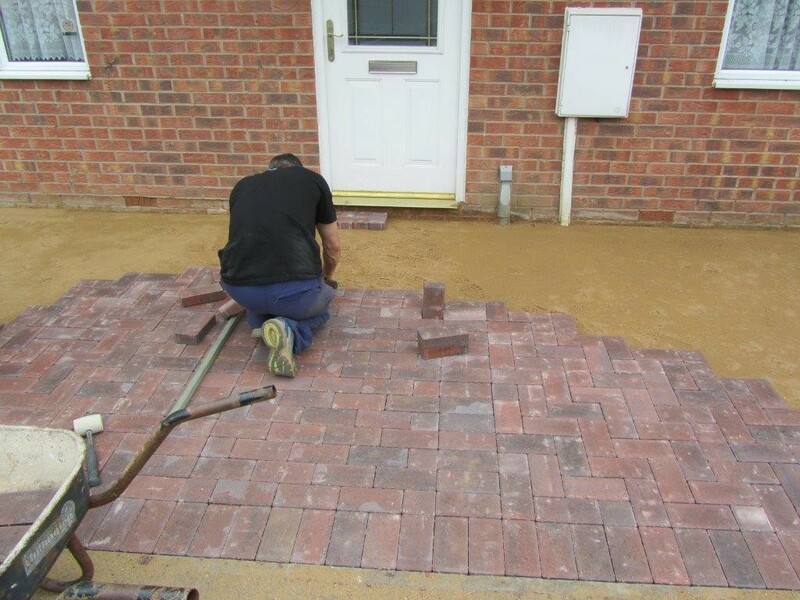 Should the weather be particularly unkind, there is a contingency to go indoors and lay design Blockwork and to go over any of the theoretical side of the project. 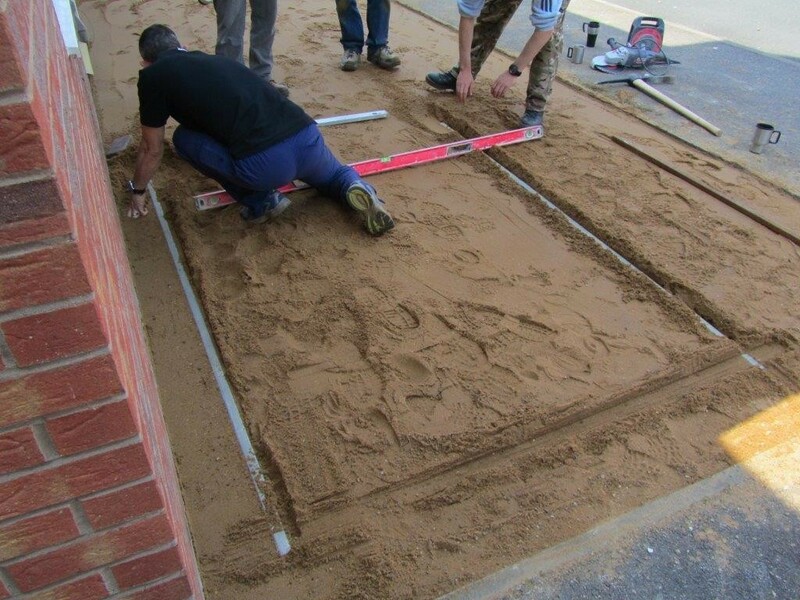 However, we like to keep the course totally realistic. 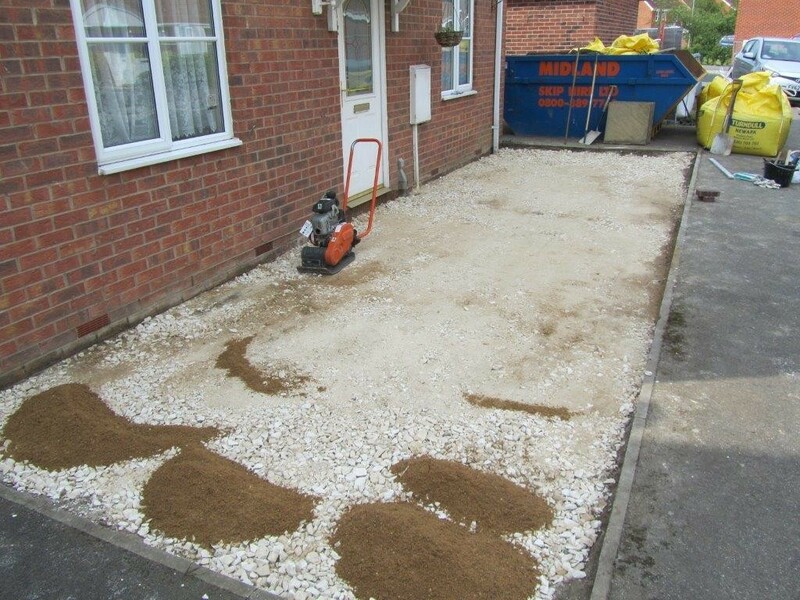 Which means when excavating the ground, all manner of objects may be encountered that will need to be negotiated and overcome in achieving the end goal. 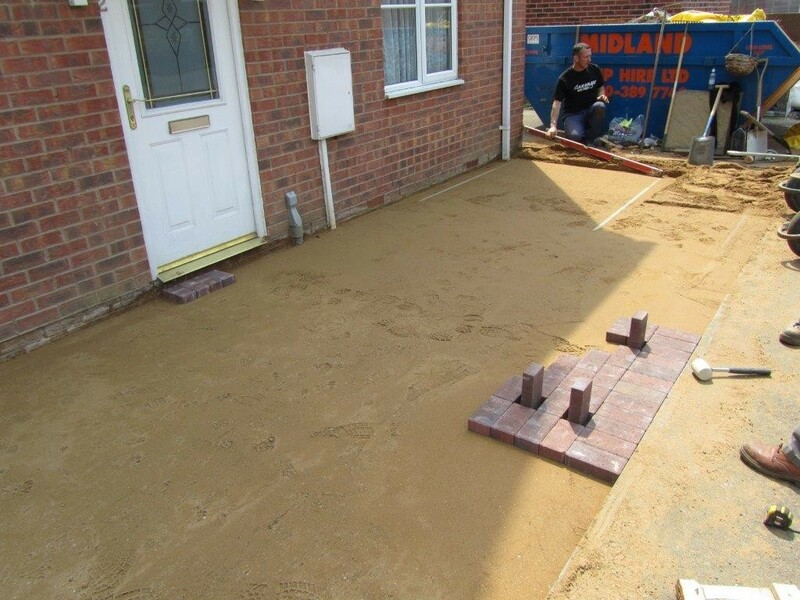 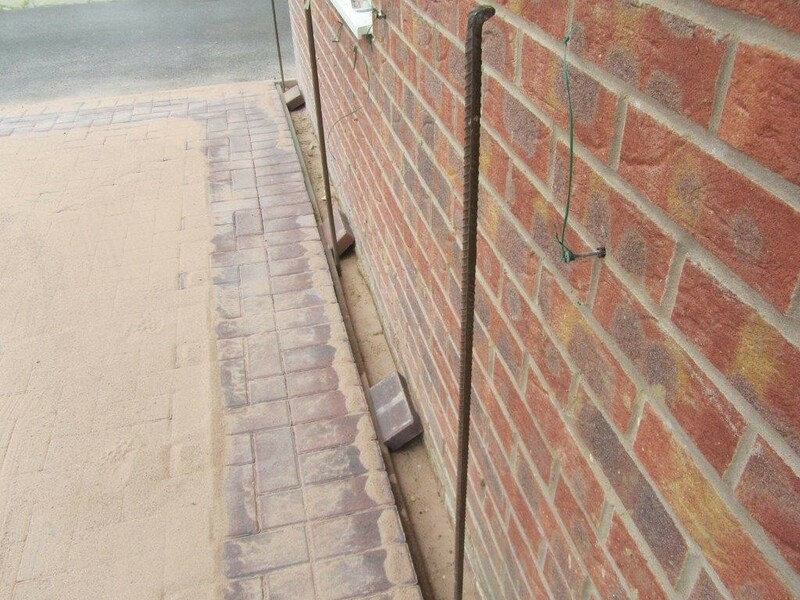 The Tools and Materials required for Block Paving and Slab laying.